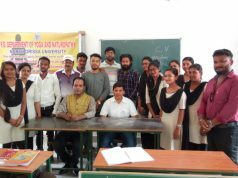 Angul: Smash 2018, the mega Volleyball tournament organised by Jindal Officers Club (JOC) of Jindal Steel & Power Ltd (JSPL) at Sports Arena, Jindal Nagar was concluded on December 4th. 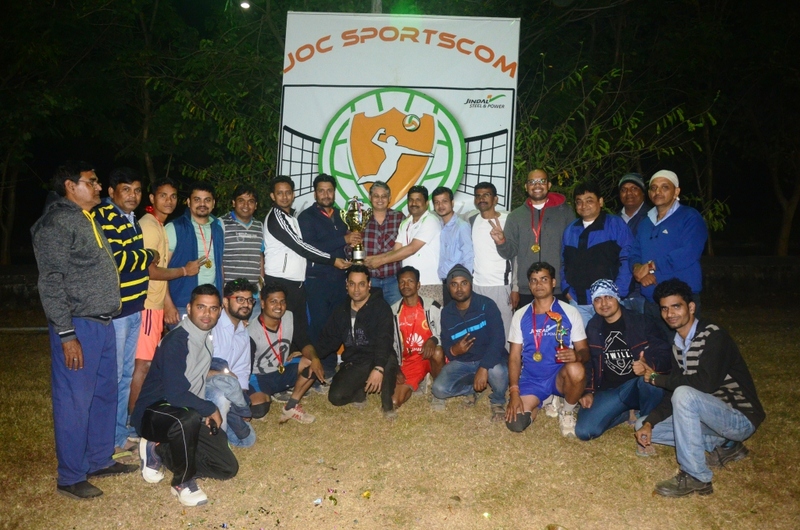 Team Royal Dynamos, comprising players from HR, Central Utility, IR, ED Office and various other departments won the Trophy by defeating Josh team comprising players from CGP, RHMS, Logistics and Coal Washery in 2 – 0 sets in the exciting final match, held under floodlight. Mr. Atul Misra, Executive Director (I/c) and Location Head of JSPL’s Angul unit, Mr. Damodar Mittal (EVP & Head – Iron Making & General Secretary JOC) and Mr. Alok Malhotra (Head-HR&ES) witnessed the final match as Chief-Guest and Guest-of-Honours respectively and presented the trophies in presence of various other department heads, employees and spectators from Jindal Nagar township and local villages. Mr. Pravin of Power Striker won the Man of the Series (Smasher) trophy while Mr. Amar of Royal Dynamos received the Man of the Match trophy. This Seven-day long tournament brought together selected players from about 40 different departments of JSPL and its allied companies to give their best sporting spirit under Six teams named as : Josh, Extreme, Royal Dynamos, Power Strikers, Spartans and Panther Blast.